A significant milestone in the fight against fluoride emerged quietly and without major notice from the mainstream news last week. After decades of ignoring the research about the dangers and hailing water fluoridation as one of the 10 greatest health achievements of the 20th Century (CDC), the government is calling for a reduction in the amount of fluoride it adds to public water supplies, citing its negative effect on teeth (dental fluorosis). For the first time since 1962, the standard for fluoride will be lowered from 1.2 to 0.7 milligrams per liter. Because fluoride from water builds up over time in the human body, this reduction will not eliminate the dangers of fluoride– which include risk of bone cancer, bone fractures, thyroid disorder, brain inflammation, lowered IQ andmental functions, sterility or reduced fertility and more. However, it is a good sign that the powers-that-be are losing ground on the fluoride debate. Further, the reduction of fluoridation is proof that the warnings from activists, critics and health professionals have been heard after all. As Alex Jones points out in the video, many of those health professionals who have been blowing the whistle on fluoridation for decades are employees or union contractors of the Environmental Protection Agency (EPA) and other governmental regulation agencies. 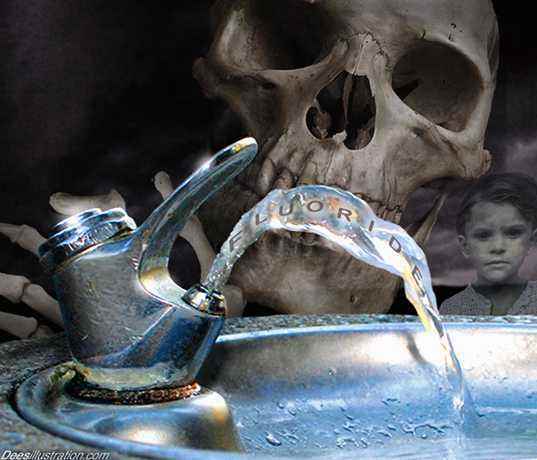 Their objections, based on alarming scientific studies such as the one linking fluoridation with a seven-fold increase in bone cancer for boys, have heretofore been almost wholly ignored, until now. One reason for this government admission, by the way, likely has to do with limiting liability for those harmful effects, or even establishing immunity for districts who adhere to lowering the fluoride standard against future claims to harm.